Концерт Нафсет ЧЕНИБ | Клуб "Посиделки"
Nafset Chenib is a young yet highly recognized and critically acclaimed opera/crossover soprano from Adygea, Russia. Amazingly, she rose to the top in spite of being born blind. 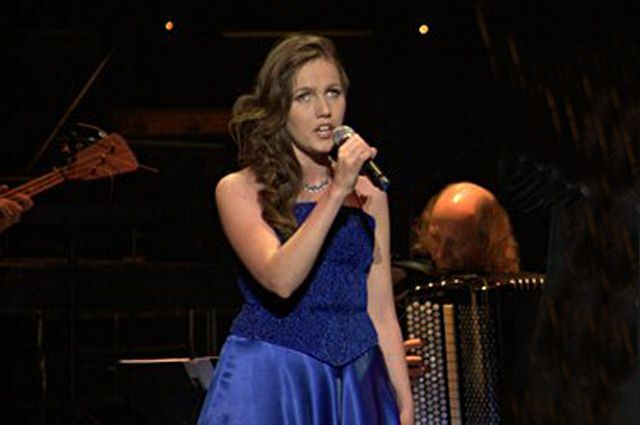 She has been named an Honoured Artist of Adygea, won a number of prestigious international voice competitions, and performed solo with Russia’s most renowned orchestras such as Vladimir Spivakov’s Moscow Virtuosi, Svetlanov State Academic Symphony Orchestra, and the Bolshoi’s Chamber Orchestra. Among her notable achievements, she headlined, along with José Carreras (of the Three Tenors fame), the closing ceremony of the previous Winter Paralympics held in Sochi, Russia in 2014. She is presently enrolled in a Professional Studies program at the Manhattan School of Music and training with Prof. Maitland Peters, the Vocal Department Chair and one of the most prominent voice teachers in New York City. Nafset’s voice is invariably praised for its wide range and unique warm timbre. Her diverse and eclectic repertoire ranges from classical opera arias and cantatas to Broadway hits and jazz standards. She performs in English, Latin, German, French, Italian, and Russian, among other languages. This will be Nafset’s first-ever recital in the Boston area, and a unique opportunity to witness her singular talent and personality while she is still relatively unknown to the American public. Please join us for this performance.